Discover the bustling city in this one-day Hong Kong shore excursion. 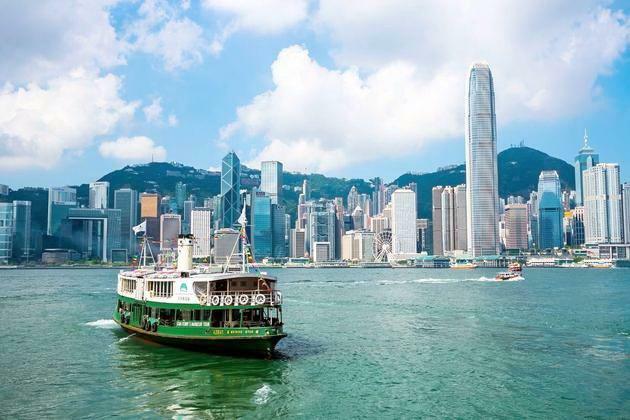 Ride the Star Ferry across Victoria Harbor to arrive at Hong Kong Island’s Central district. 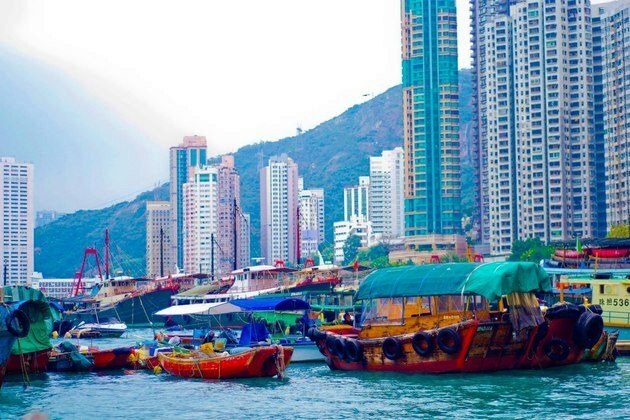 Visit Aberdeen Harbor’s fishing village and mingle with the locals at Stanley Market. 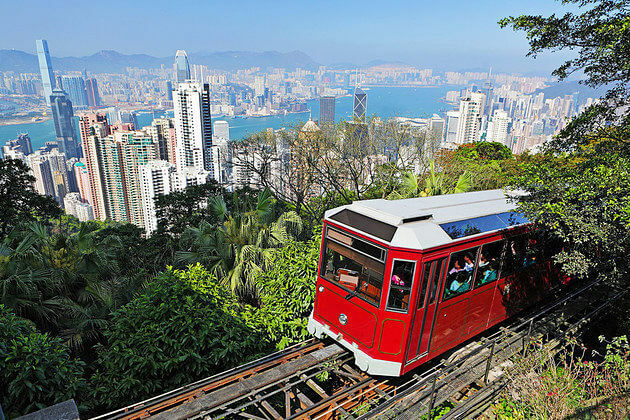 Take a tram to enjoy a breathtaking panoramic view of Hong Kong Island. 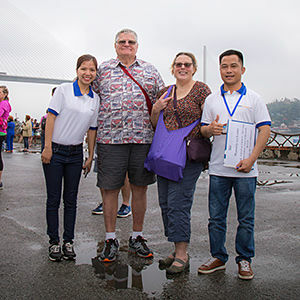 Meet your guide and driver upon pickup from Hong Kong Port before taking the Star Ferry’s thrilling ride across Victoria Harbor, a classic experience for anyone who visits Hong Kong. 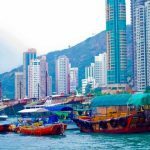 Disembark at the Hong Kong Island’s Central district and head straight to Aberdeen Harbor to visit the Aberdeen Fishing Village. 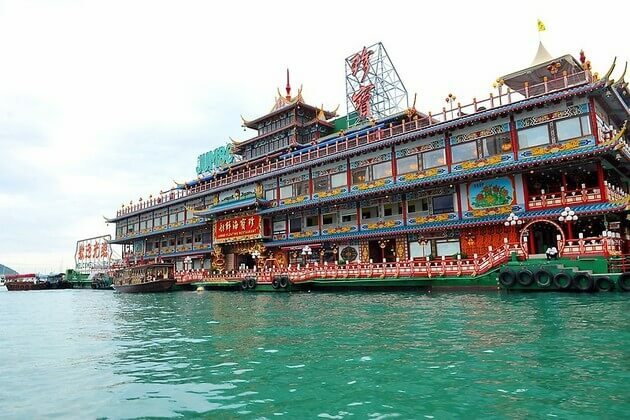 Stop at the floating Jumbo restaurant for lunch. Continue to take a sampan ride around the spectacular harbor to learn about local fishermen and their life in the junks. 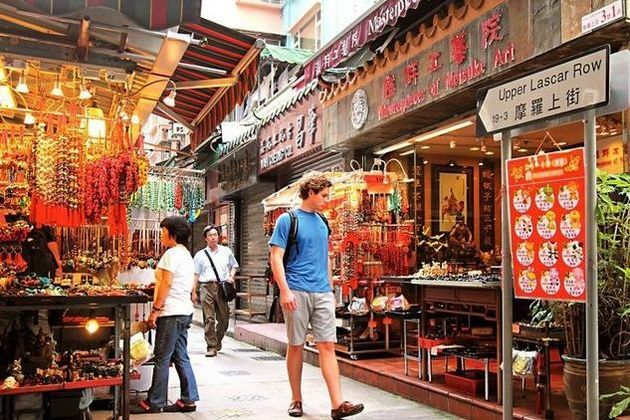 Enjoy a rare relaxing moment before stopping at the bustling Stanley Market where you can search for the best bargains. 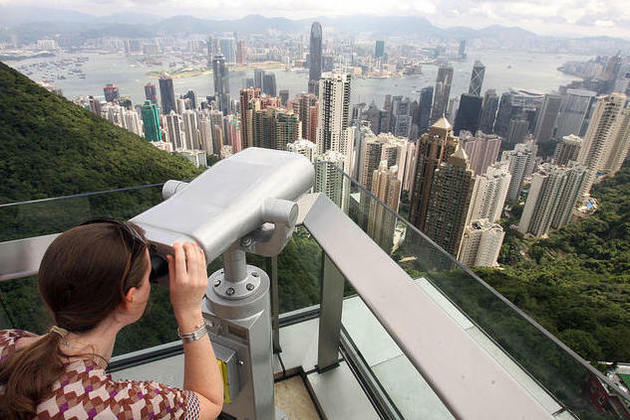 Afterward, take an 8-minute tram ride to Victoria Peak and along the way, admire the sweeping vista of sleek skyscrapers, Victoria Harbor, and surrounding islands. 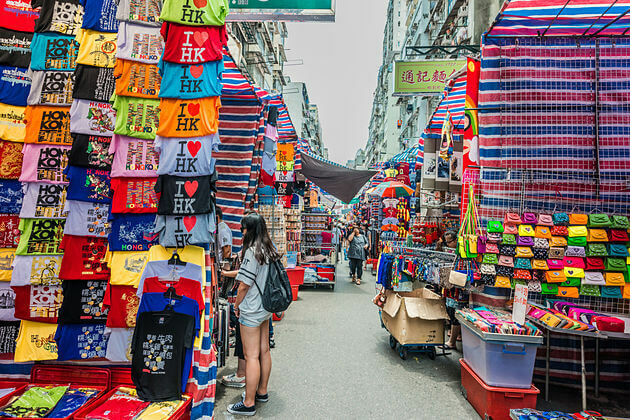 From Victoria Peak, travel to Ladies Street Market in Mongkok District which offers over 100 vendors of clothing, accessories, and souvenirs before heading back to the port. Trip ends. We took our own tailor-made Hong Kong City Tour to visit Victoria Peak, Aberdeen and Stanley Market. We really enjoyed going up the mountain to have the panoramic view of Hong Kong. We had the great time riding a sampan in Aberdeen Fishing Village. Great tour guide, showed us around the city with his incredible knowledge of local history and culture. And then he took us to Stanley Markets to have a bit of shopping time and enjoy the bustling and hustling typical Asian markets. The itinerary was completely interesting, a great choice for shore excursion in Hong Kong! We did the 4-hour itinerary which was interesting and took us to Victoria Peak and some other interesting stops along the way. That was amazing excursion! We are very enjoyable. Thank you for choosing us. We hope that we can be your partner in any further excursions and tours you will hop on. We paid a visit to Victoria Peak in our shore excursion in Hong Kong. Very crowed but shops, restaurants, and a great view of Hong Kong. 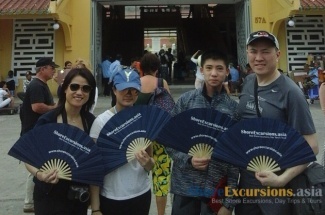 Thank you for enjoying our shore excursion. Hope you will enjoy more and more in the future. It was foggy in the day we take the tour to Victoria Peak, What a pity! Not much to see. But we really enjoy the tram ride to the top. Thank you for hopping on our shore excursion. Any comments please contact us to improve our services and products. 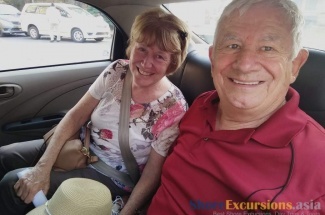 Hope you enjoy your further Asia Shore Excursions. 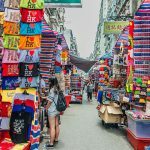 Found many bargains in Stanley Market, have many time to stroll down the colorful shopping lines. We wish that we could have more time for more shopping choices! Great market with great deal. 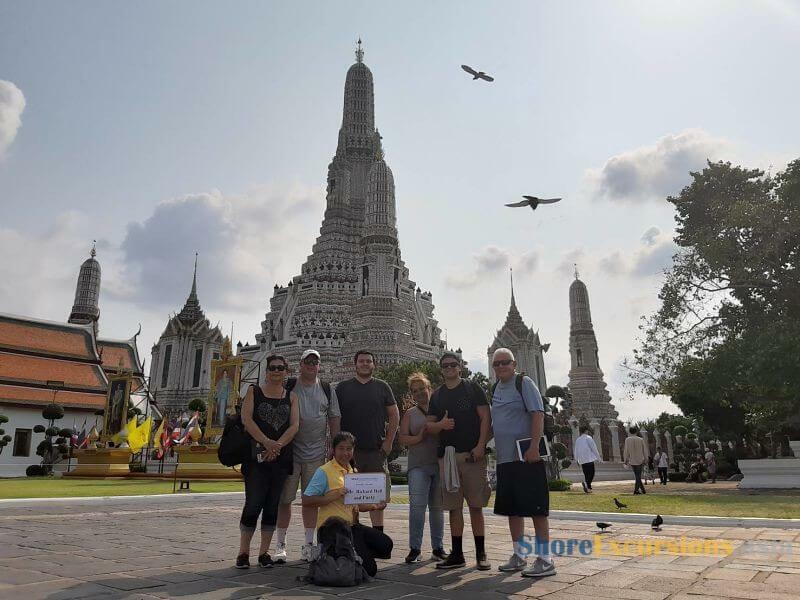 Thanks for choosing Shore Excursions Asia. We are pleased to be your partner in this Hong Kong shore trip. Hope you enjoy it and become our loyal customer. Thank you for your request on Hong Kong shore excursion. Please check your email for detailed quotation and let me know if you have any other questions. Thank you for contacting us. 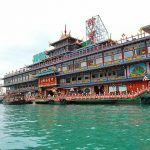 The detailed quotation on this Hong Kong shore excursion has been sent to your email. Kindly have a look at it and let me know if you have any other questions. 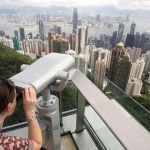 Please provide information on the cost per person with start times & end times for the 1 day Hong Kong Highlights tour and the Hong Kong Isand half day tour? 2 people, arrival date 2/8/17 or 2/9/17. Thank you. Thank you for letting us know your travel plan. The detailed quotation of this Hong Kong shore excursion has been sent to your email address. Please check it and let me know if you have any other enquiries. Thank you for contacting us. The detailed quotation on Hong Kong highlights shore excursions you may interest has been sent to your email. Kindly have a look at it and let me know if you have any other questions. Thank you for letting us know your travel plan. The detailed quotation of Shanghai, Busan and Nagasaki shore excursions may be suitable for your demand has been sent to your email address. Please check it and let me know if you have any other enquiries. My husband and I will be on a Holland America cruise aboard the Amsterdam with 14 stops in Asia, including two days in Hong Kong. I am having a very difficult time using your site as I want to book tours in all the ports, but there is no practical information on your website….how large is the tour group?, what is the cost per person?, what time do the tours depart from and arrive back at the ship? I have already sent inquires about 3 shore excursions so far. Very frustrating and time consuming. Can you please add important information to your website? The price per pax is cheaper if there are more people joining the tour. Please check your email for detailed quotation of Hong Kong shore excursions. Kindly let me know if you need more information. Hi we are 2 people arriving on Celebrity Millenium on Nov 19th at 7am and are looking for an excursion. Do you have availability on any trip that will pick up from the port please? Thank you for contacting us. The detailed quotation on Hong Kong shore excursions has been sent to your email. Kindly have a look at it and let me know if you have any other questions. I would like to know if you offer German-language tours? Thank you for contacting us. We provide German-speaking guides for your requested tour. Please check your email for the detailed quotation of Hong Kong shore excursion, and let us know if you have any questions. Thank you for your request. Please check your email for detailed quotation of Hong Kong shore excursion. Feel free to contact us should you have other enquiries. Thank you for reaching to us. Please check your email for detailed quotation on this Hongkong shore trip. Feel free to ask us any question you may have. We are visiting Hong Kong early March . I wondered if we might join one of your tours. There are 3 adults and I wondered what the cost would be per person? 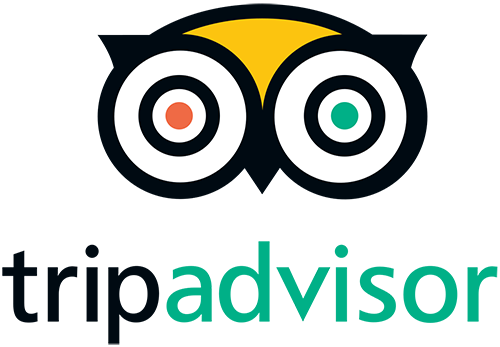 Thanks for your comment ob Hong Kong shore excursions. For the detailed quotation, please have a look at your email.